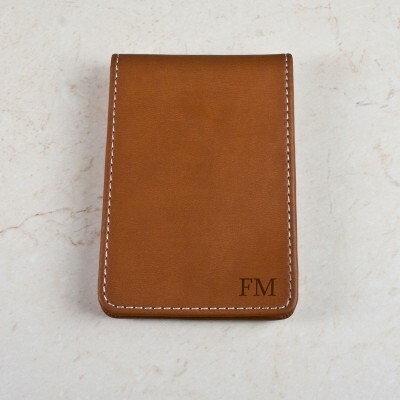 Personalised faux leather credit card holder. Made from soft faux leather. Money clip attached 4 card pockets. Includes window pocket for displaying ID Clip to close button. Personalise up to 3 Initials.